Our Compare Banks postcard was produced for an Avant Card campaign in 2014. 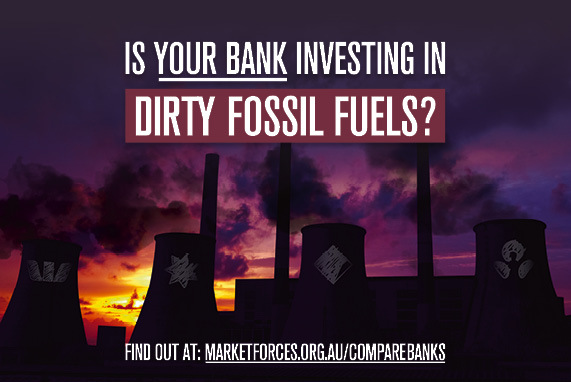 The card encourages people to use our bank comparison table to investigate their bank’s position on lending to fossil fuels, and take action to align their money with their values. If you would like some of these cards for you community group, stall or event, please fill in the form below and we will post some out to you.